As you can probably guess, there are many steps to actually putting a book together before sending it “out into the world.” Now that the manuscript is in the “copy editing phase” with the publisher, it’s time to turn my attention to the book pre-launch campaign efforts. Above is a behind the scenes look at the development of the Scrappy image with the help of talented photography by Colin Freeman and the creative vision of Damion at Damion Hickman Design. This phase is for our brand marketing and logo design to support the launch. 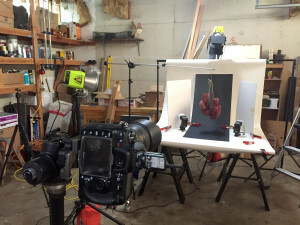 It is really neat to be a part of this process… I can’t wait to see how it all comes together! 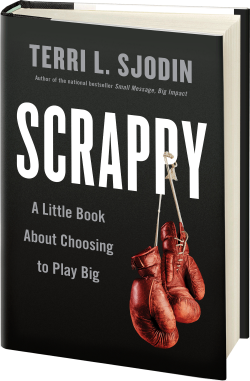 The book cover for Scrappy: A Little Book About Choosing to Play Big is actually done by my publisher (Penguin Random House/Portfolio)… We will be sharing it very soon! This entire process takes time, patience, and tinkering, but it is super interesting to see it come into form after 2 years of working on the concept. There are highs and lows (as with everything), but with that said, I am learning a lot and still loving the ride! And if you enjoyed this blog, please consider sharing it!